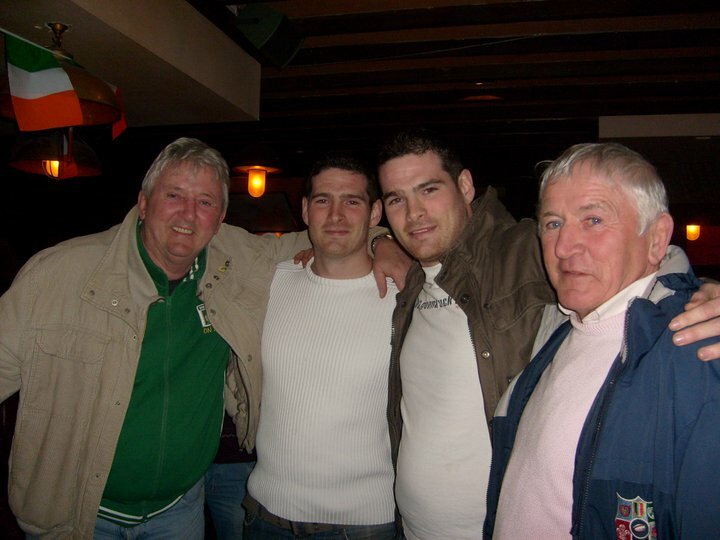 Johnny is third from left, beside his twin Brian and flanked by his uncles Alvin and Aiden. My 25 year old cousin Johnny who died last week from an epilepsy seizure, is remembered by his aunt Denise in an interview on RTE’s Ryan Tubridy Show. Johnny is survived by his parents, identical twin Brian, his older brother Norman and his sister Gayle. Spare a thought for them today. This entry was posted on Tuesday, April 30th, 2013 at 10:07	and tagged with epiliepsy, Johnny Healy, RTE, Ryan Tubridy, seizure and posted in Uncategorized. You can follow any responses to this entry through the RSS 2.0 feed. What a horrible loss. Particularly poignant when you consider that Tubridy had a feature on epilepsy on the Late Late that night. I am so sorry for your loss, I am 42 yrs of age, working as a primary school teacher and have hidden my epilepsy from all colleagues. It certainly is a condition that is severely misunderstood. Only those very close to me are aware of my condition and it is so hurtful when it is referred to in many dreadful ways. I often wonder what I would do if these seizures took place in the classroom but thankfully I have only suffered petit mal while at work. I have been approached by epilepsy Ireland to come forward and speak for those working in my field but I still haven’t got enough courage to do so. I came upon this on Monday while I was at home recovering from a bad weekend of seizures and my heart went out to you. Rick O’Shea describes it so well when he said that you keep putting that seizure in a box but eventually it will happen. It’s time I sat my nearest and dearest down and discussed what to do if SUDEP were to happen. Thank you for this post. I feel for you. My only experience /knowledge of epilepsy comes from what I know of Johnny’s history of seizures. I’m curious to know if there is an organisation that offers advice and support to epileptics? Please feel free to email me at bpapartment@gmail.com.